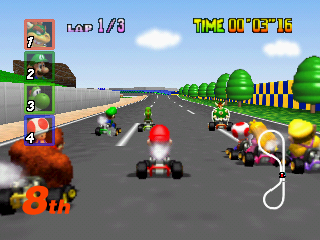 Mario Kart 64 is a great game to bring out when your looking to go retro, to go racing. 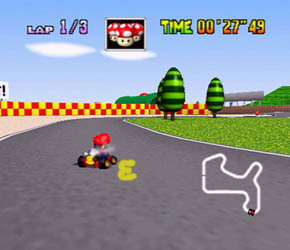 Multiplayer is key here, particularly with two players, as the computer AI can still be included within the epic grand prix mode - four cups to choose accross 20 fantastic levels - each one unique and each one largely entertaining. 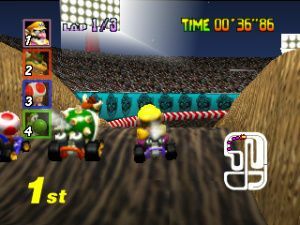 If that doesn't tickle your fancy, four player battle mode is a reason to keep you up until late challenging your friends in four fun arena showdowns, in particular, the dreaded but greatest, skyscraper! 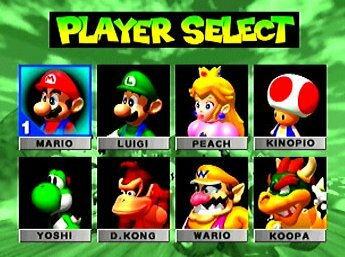 Join all your favourite Mushroom Kingdom characters: Mario, Luigi, Peach, Toad, Donkey Kong, Wario, Yoshi and Bowser. 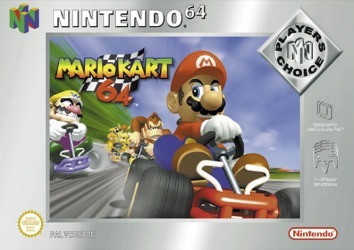 The game is a classic that should be revisited on the Nintendo 64 for full enjoyment, but that doesn't need to stop you from getting it right here at Emuparadise! 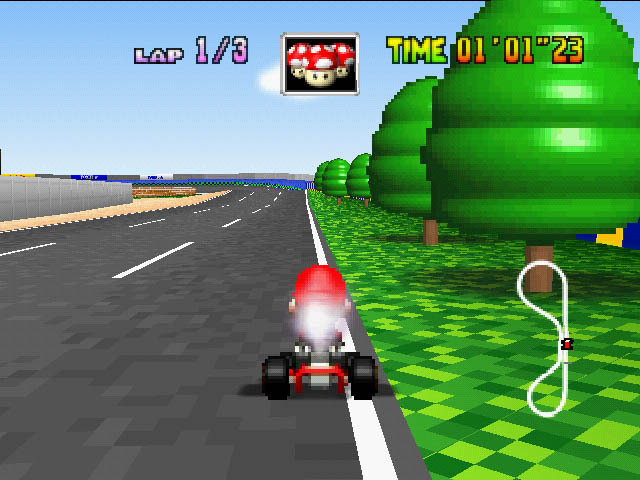 Strap in and get ready to rev your engine 'cause once that light hits green it's all about getting first. 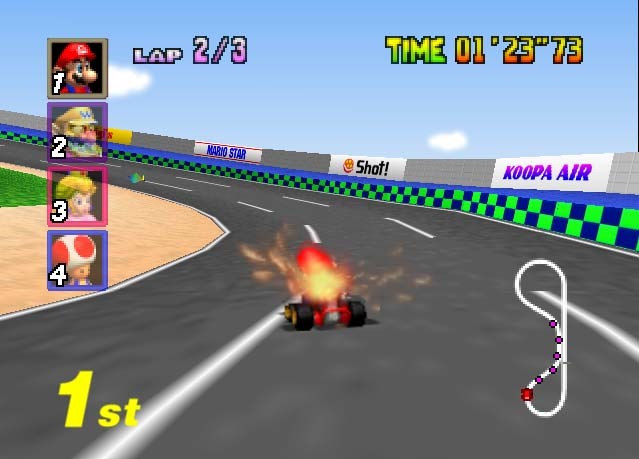 Gather up your friends and race to your hearts content. 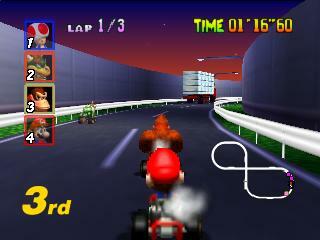 With 16 tracks and 3 difficulty options you're guaranteed to be challenged to come in first on all the tracks. 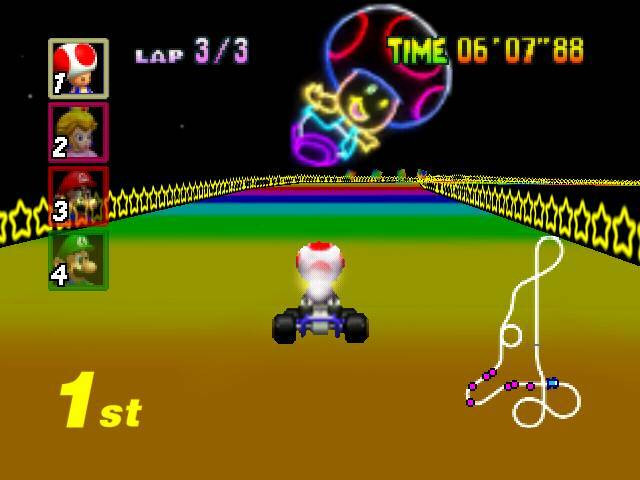 "Welcome to Mario Kart". Now you can add videos, screenshots, or other images (cover scans, disc scans, etc.) 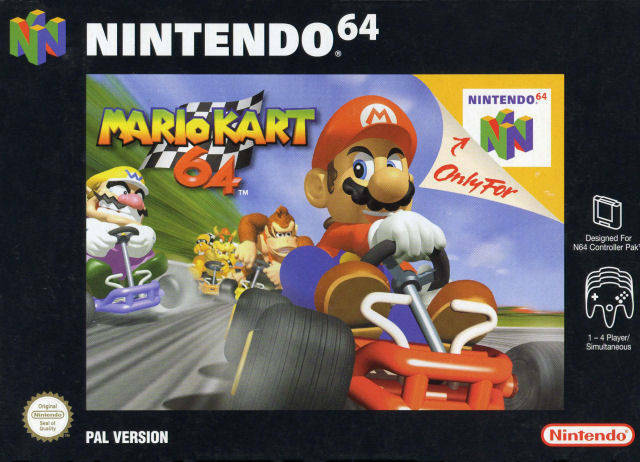 for Mario Kart 64 (Europe) to Emuparadise. Do it now!